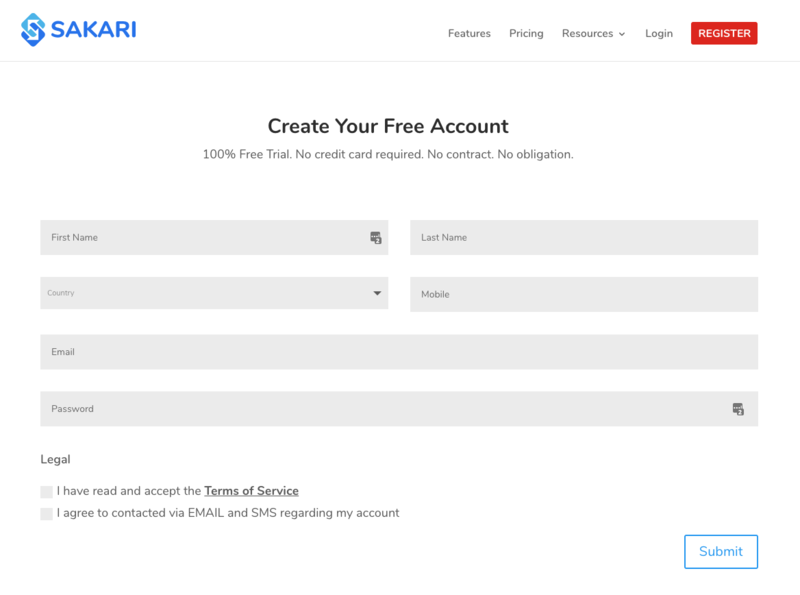 How to register and create your first account. 1.) 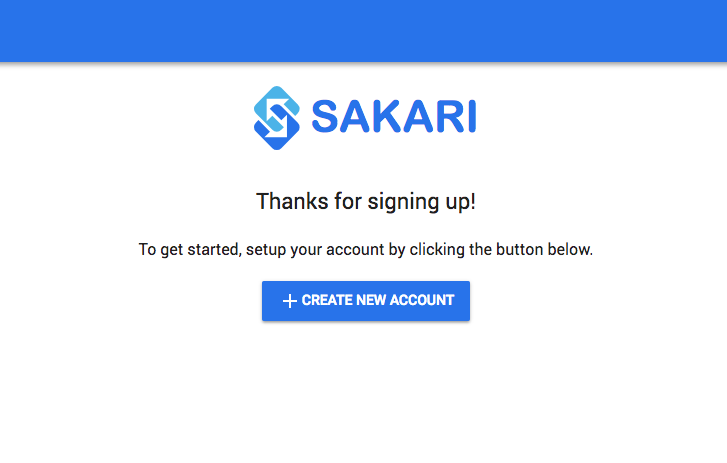 Go to the Sakari registration page to sign up for your account. Link: Signup page. 2.) Verify your email. You'll receive an email to verify your account. Click the "Confirm My Account" link to verify your email. 3.) 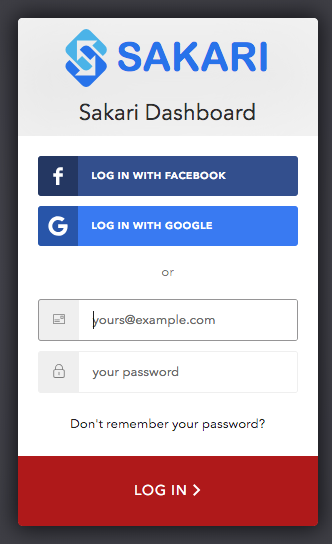 Login using your new credentials. 4.) 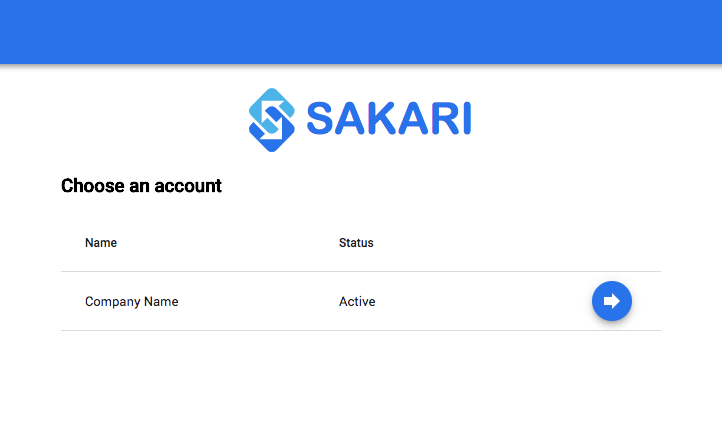 Create your new account name. 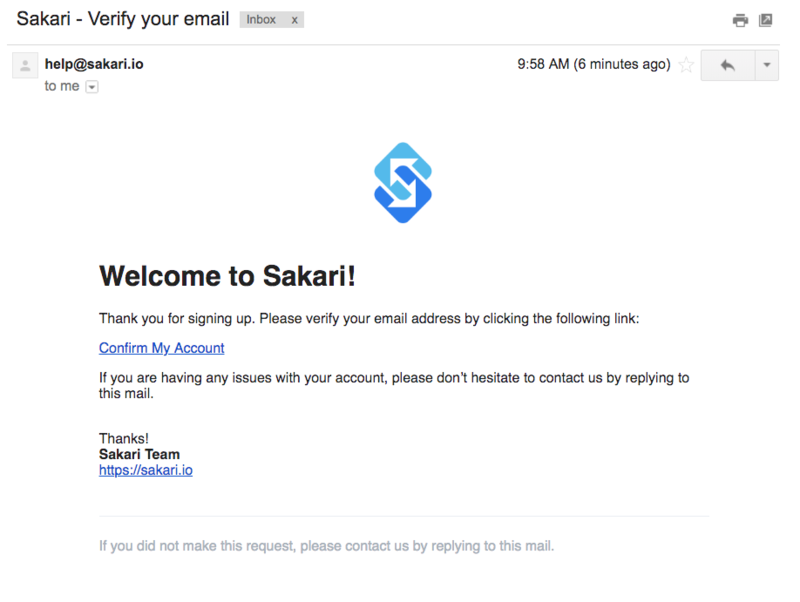 Sakari has been setup to allow multiple accounts associated with a single email address. Click "Create New Account", type your new account name and click "Create". 5.) Open your new account by clicking the arrow to the right of your account name. 6.) You're done! Your new account is active. Need to add your team?